The Carolina Reaper was cultivated by Ed Currie in Fort Mill, South Carolina. 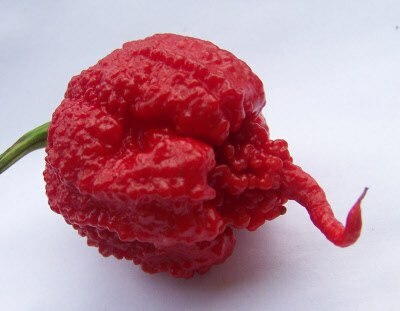 As of 2012, this is the world’s hottest pepper. It started out as a hybrid of the ghost chili (bhut jolokia) and red habanero, and averages a 1,569,300 on the Scoville scale with peak levels of over 2,200,000 Scoville Heat Units (SHU). You will receive ten (10) seeds with this order. · Best temperatures for growing are 77-95 F (25-35 C). · Growth in 10-15 days. Keep in full sunlight. · Without enough sunlight, growth may become slow and plant may wither. 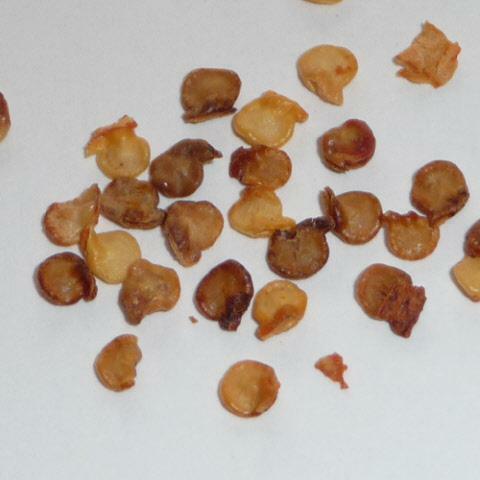 · Remove the center bud when the plant reaches 3.5 inches (10 cm) high to stimulate branching. · Insufficient light and ventilation may cause plant to wilt or develop poorly. · Over watering may cause rotting of roots. Make sure the pot has proper drainage if you are planting in a container. · Water ONLY when surface soil is dry. · Due to the nature of this product, it is non-returnable and non-refundable. Are you ready to grow the worlds hottest plant? What your gardening skills to use them grow a real-life bhut jolokia plant. Trust me this thing is hot.